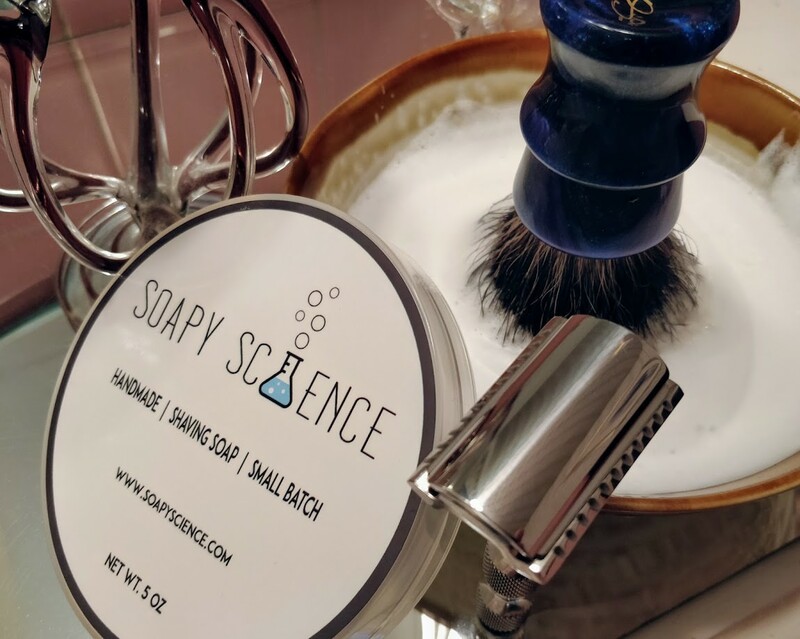 Soapy Science (aka Hannah’s Soaps) - NOW OPEN! Jason, I just checked the Unscented list of ingredients - it shows essential oils. Is Hannah using fragrance to mask the natural scent of the ingredients, or did you guys just copy the same ingredients list for every variety? (05-07-2018, 07:42 AM)chazt Wrote: Jason, I just checked the Unscented list of ingredients - it shows essential oils. Is Hannah using fragrance to mask the natural scent of the ingredients, or did you guys just copy the same ingredients list for every variety? Wow! Yes that is an error on our part. THANK YOU! UNSCENTED has zero essentials oils in it. Only the ingredients listed within the description on her site. To my nose, unscented actually has a really nice, natural scent to it. Due to the labeling error - We are dropping the price on UNSCENTED until this batch of labels is gone. So if you want to try the soap at a 20% discount - here’s your chance. (05-07-2018, 09:19 AM)Boonie21 Wrote: Due to the labeling error - We are dropping the price on UNSCENTED until this batch of labels is gone. So if you want to try the soap at a 20% discount - here’s your chance. I didn't ask in order to receive a discount, but it's appreciated just the same. Thanks, order placed. It’s the right thing to do and it gives folks a chance to try her soap for a small discount. WIN - WIN! I had decided to order because I was impressed by the ingredients list and the lathering videos on the website. However, I don't care for the dominant citrus or mint scents of the initial offerings, so I chose unscented just to try the performance of the soap. I was surprised to see the discount when I ordered, and it's appreciated. (05-07-2018, 12:10 PM)TheLegalRazor Wrote: I had decided to order because I was impressed by the ingredients list and the lathering videos on the website. However, I don't care for the dominant citrus or mint scents of the initial offerings, so I chose unscented just to try the performance of the soap. I was surprised to see the discount when I ordered, and it's appreciated. And we appreciate you! You may want to give Doc’s Special Blend a try in the future if the citrus and mint dominant scents bother you - Doc’s has both but smells like nothing I have smelled before - it’s pretty amazing! Couple of questions. Does Hannah plan on offering matching aftershave items (splashes, balms)? I might have missed it but what is the percentage of each sale that is being donated to the charity? I'll be ordering a soap or two down the road, the Docs Blend looks interesting! (05-07-2018, 12:41 PM)bennett Wrote: Couple of questions. Does Hannah plan on offering matching aftershave items (splashes, balms)? She does plan on working on an aftershave splash in the near future (balm may come later) and the percentages are 5% of proceeds to the School/summer Lunch bag program and 5% of proceeds to the Group that supports fighting human trafficking. We are working on having some direct donation links on the website along with some quick videos from each organization. This is a generous portion and a really great thing to do. Just tried out the retail version of this soap for the first time this morning. The earlier versions were quite good, but this one was really amazing. Truly a stellar performer. Several notches above and beyond the earlier versions. Good job, Hannah (and Jason). You really figured this shave-soap-making thing out, big time. (05-10-2018, 04:47 PM)kingfisher Wrote: Just tried out the retail version of this soap for the first time this morning. Thank you very much! We are very proud of the soaps and can’t wait for more folks to give them a try! My unscented is scheduled to arrive tomorrow (Friday). Based on the videos, I'm expecting some great lather! Tracking shows mine arrived today. I'm not home yet, but am looking forward to ripping open the pkg and a fresh shave! My unscented was supposed to arrive today, but did not. Perhaps tomorrow. We'll look forward to your thoughts on the unscented Charlie. It's awesome, Charlie. I used the Lollipop Citrus again this morning and the lather is fantastic. Oh my goodness! This soap is awesome! I used the "Doc's Special Blend" this morning. The mint is right up front off the puck and during the shave, but the vetiver adds a little smokey depth to round out the scent. I don't normally like a smokey/dirty vetiver, but this is truly sublime. Excellent picture Erik and thank you for the compliment! The feedback around the scents, especially LP Citrus and DSB continues to pour in and is overwhelmingly positive!